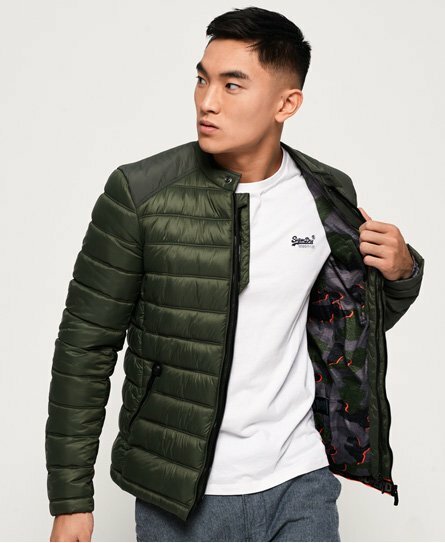 Superdry men's Commuter quilted biker jacket. This biker style, quilted jacket is a must have in your wardrobe, perfectly combining style and warmth. Featuring a high neck with popper closure, double layer zip fastening and three zipped front pockets. Inside, the jacket has a popper fastened pocket, perfect for keeping your phone or wallet in. The Commuter quilted biker jacket is completed with a small Superdry logo badge on one sleeve.